Royal wedding pictures have always been scrutinised globally, especially when it concerns the British royals. 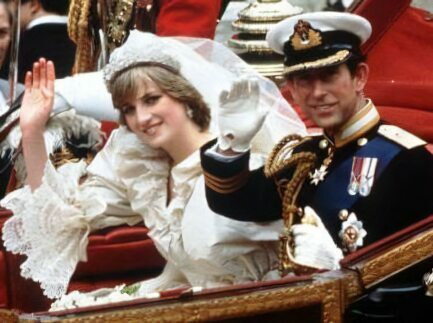 Remember when Prince Charles and Lady Diana got married? The world is still wondering whether or not Prince William and Kate (Princess Catherine, as she will be called after the wedding) will sell the rights to their royal wedding pictures . I'm sure paparazzi are circling the couple's reps like hungry wolves getting ready for a slaughter, however, it's still a wait-and-see game at the moment. We're all aware of the circus surrounding the wedding of William's parents, Prince Charles and Lady Diana. Here's a recap of some of the stunning pictures which circulated at the time. Picture taken from the English Monarchs website. For Royal fans everywhere, this tape (on the left) of the Royal Wedding of Prince Charles and Diana was the next best thing to seeing it live on TV. Too many books have been written. Too many reviews have been made. 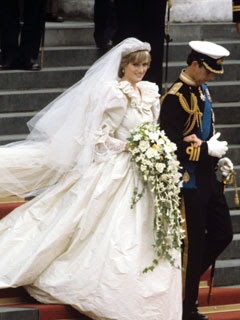 The couple had been dogged by the media from the day they were married and sadly, until the day Diana died. Let's hope that things will be different for her son(s) and his wife. Here's a commemorative photo to last a lifetime. You can purchase it at the link. So how about you? Have you got some beautiful Royal wedding pictures stuffed somewhere in your attic?